A CNA’s job description includes more than tending to patients’ needs. Although they’re regarded as entry-level staff, their responsibilities place them on the front line of healthcare. They report directly to their nurse supervisors, caring for aging, recovering and terminally ill patients. Some of the basic responsibilities include dressing, bathing, and feeding patients. Since they’re often expected to lift patients when transferring them from one place to another, the job requires good physical strength. Compassion and patience help to avoid frustration when dealing with difficult patients, and flexibility and good observational skills will come in handy during prolonged shifts and for reporting patient inconsistencies. The Tennessee Department of Health oversees the training, testing and certification of state nurse assistants, requiring candidates to complete at least 75 hours of training in preparation for state certification. NHC Healthcare provides free state-approved training in several cities across Tennessee. The training is specifically targeted to high school and college students who are interested in starting a career in healthcare. The intensive 120-hour course includes 40 hours of lecture and 80 hours of clinical experience at one of NHC’s facility. New classes begin every month. The course is three weeks’ long, and classes meet from 7am to 3pm. Applicants must be able to speak, read, write and understand English, pass a criminal background check, pass a physical exam and TB skin test, obtain a passing grade on a pre-admission exam and demonstrate the ability to compute simple math equations. Although the training is free, students must purchase uniforms for the clinical component of the training. Graduates are eligible to take the Tennessee Certified Nurse Exam. The Certified Nursing Assistant curriculum at Miller-Motte College consists of traditional classroom lectures and hands-on training. During the 120+ hour program, students will learn the basic knowledge and acquire the skills needed to work as part of a health care team. Course topics include medical terminology, food and nutrition, personal care, communication, emergency procedures, rehabilitative techniques, patient rights, law and ethics, death and dying. Students also learn how to document patient recovery milestones and report to superiors. Tuition is $700 plus expenses for books, uniform, supplies, insurance, CPR, and a criminal background check. Graduates are eligible to take the state exam. The C.N.A. classes at the Health Careers Training Center runs for three weeks. The class comprises of lectures, hands-on training, and clinical training at a skilled nursing facility. The state-approved training prepares students for the nurse assistant competency exam. Applicants must have a high school diploma and pass a criminal background check. 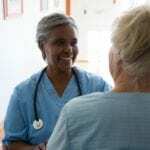 The nursing facility may require a drug screen and a TB test. 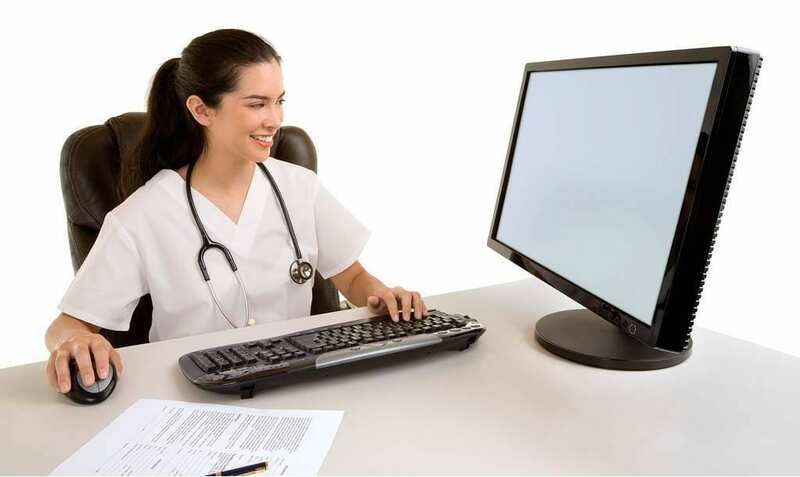 Course topics include medical terminology, anatomy and physiology, law and ethics, personal hygiene, patient transfers, emergency procedures, patient rights and rehabilitative techniques. The affordable tuition with flexible payment plans makes nurse assistant training a reality for anyone.